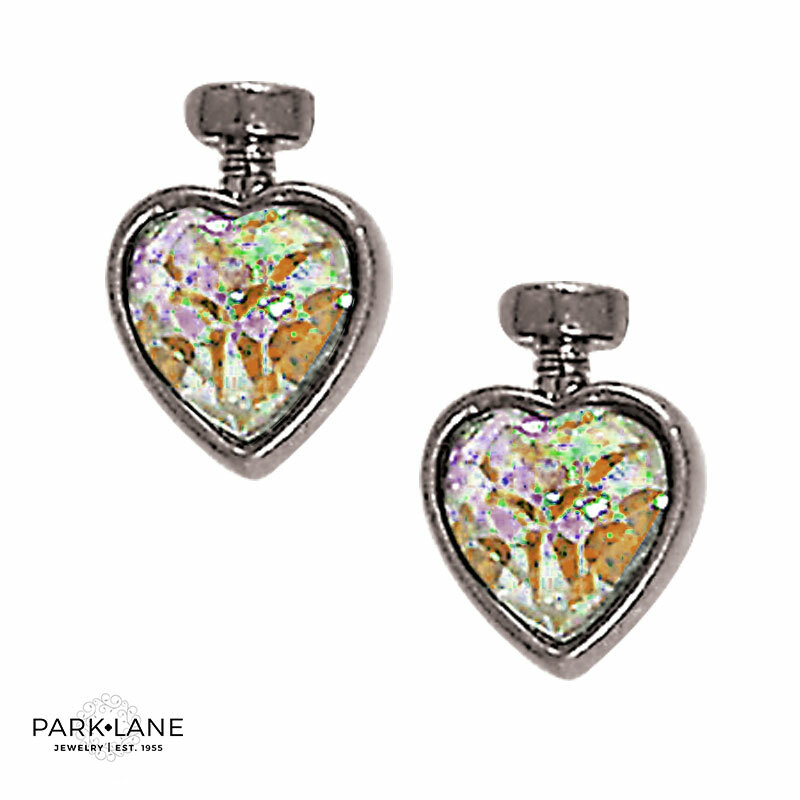 These adorable heart-shaped earrings look as pretty from behind as they do head on. Suspended from its fabric cord, the heart-shaped pendant resembles a vial of colorful tiny floating CZs, perhaps a LOVE POTION? Sample Love Potion and watch it work its magic! Rings: Most silver/hematite, aurora borealis; example: Smashing, Aura, Mesmerized, Juliet, Diamond Dust Earring options: Foxy, Mix & Match-hematite Layering possibilities: Chic, Luxedo, Fashion-able, Juliet Bracelets: On The Town, Rico, Mirror Mirror, Cherish, Signature clear & black together Love Potion earrings complement Starstruck necklace and Juanita necklace.